Baking is one of my favourite things to do. But when it’s so hot outside, even the most devoted baker needs a break ! So I made these no bake cheesecake jars the other day. They are creamy, chocolaty, yummy and super easy to do ! 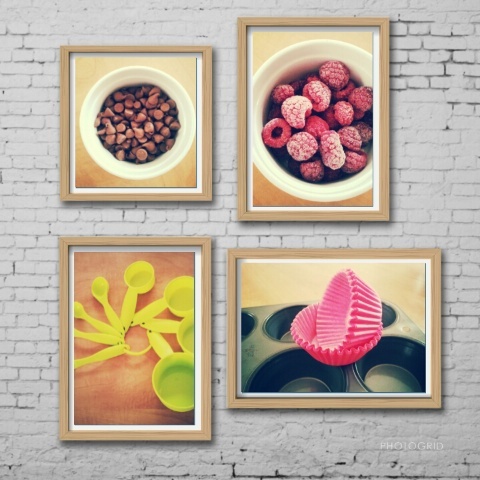 As a food blogger, I am constantly looking for props that I can use without spending too much. Plates, cups, cutlery, baking tools, towels, etc. So, kitchenware stores, thrift stores, dollar stores and garage sales have become my favourite places to hang out. And I get super excited when I can reuse or recycle ! It’s like doing a makeover ! These cute little jars were containers of some petit pot yoghurts that I bought. They are perfect for individual desserts ! My only complain…..they’re too petit ! Cause these cheesecakes are so delicious and one is not enough ! This entry was posted in Chocolates, Other desserts and treats and tagged cheesecake, cheesecake in a jar, cheesecake recipes, choclate, chocolate recipes, Chocolates, desserts, easy desserts, fbcigers, food blog, food blogger, no bake, no bake cheesecake, no bake chocolate cheesecake, recipes, summer, summer desserts on August 12, 2017 by tinysweettooth. Summer is always busy for me….working, driving the kids, getting together with friends and relatives, etc. But it seems like everything I do revolve around food or desserts…..snacks, lunches, picnics, BBQ’s. 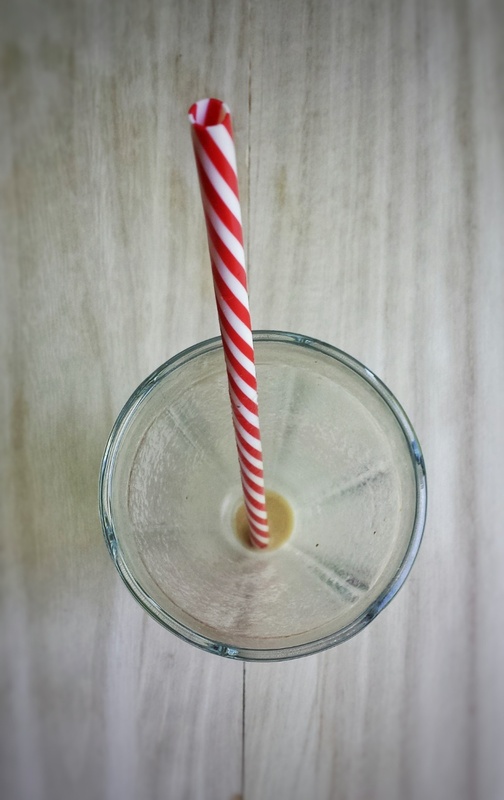 Making something that are easy and healthy would be great when I am running a tight schedule. These Peanut Butter Nice Cream Sandwiches are super simple and most of us probably have all the ingredients at home already. Nice cream is a much healthier alternative to ice cream using frozen bananas. I added peanut butter, but there are many variations you can do, like cocoa powder, chocolate chips, berries, nuts, etc. You can also use other cookies or crackers for the sandwiches. Don’t think that you have to compromise on taste by making a healthier dessert because they are really really yummy ! They didn’t last long at all in my house ! This entry was posted in Healthy recipes, Ice Cream and other frozen treats and tagged Banana Nice Cream, banana recipes, desserts, easy desserts, fbcigers, frozen desserts, frozen treats, healthy desserts, ice cream ice cream recipe, nice cream, Peanut Butter Banana Nice Cream, recipe, recipes, summer on July 23, 2017 by tinysweettooth. My son used to be a picky eater when he was little and was very reluctant to try new things. Meal time was a real challenge back then. Luckily, he would never say no to fruits, especially strawberries and blueberries. He is now 12 years old, not as picky as before, eats more than me, almost as tall as I am and still loves his berries. Strawberries are in season right now and he can easily eat half to one pound a day ! I love fresh strawberries, they taste yummy as a fruit but can also be used for many desserts. With the warmer weather finally showing up, I brought out my ice cream maker and made this strawberry sherbet. Sherbet is like a cousin of sorbet. Sorbet is mainly made with fruit juice and sugar without any dairy. On the other hand, milk or cream is added to sherbet. Its texture is in between a sorbet and an ice cream. So if you are craving for a cool treat, but don’t want something too rich, a sherbet will be perfect. And this recipe is approved by the strawberry fan in my house ! If you don’t have an ice cream maker, you can pour the mixture in a shallow tray, cover and put in the freezer for at least 4 hours or overnight; then break the frozen mixture into large chunks and blend again until smooth. 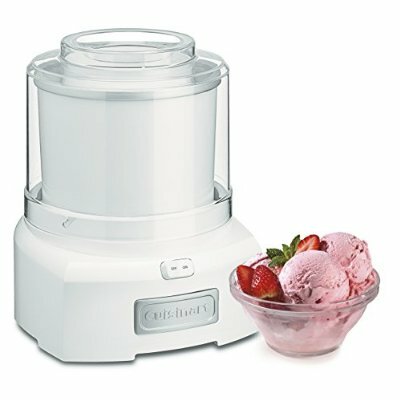 You can get this ice cream machine through the Amazon website by clicking the above link. I will receive a small compensation if you purchase the item. This entry was posted in Ice Cream and other frozen treats and tagged desserts, fresh strawberries, fresh strawberry recipes, frozen treats, ice cream, straberries, strawberry, strawberry recipes, strawberry sherbet, summer on June 2, 2017 by tinysweettooth.